News Regarding Her Majesty Queen Letizia of Spain. 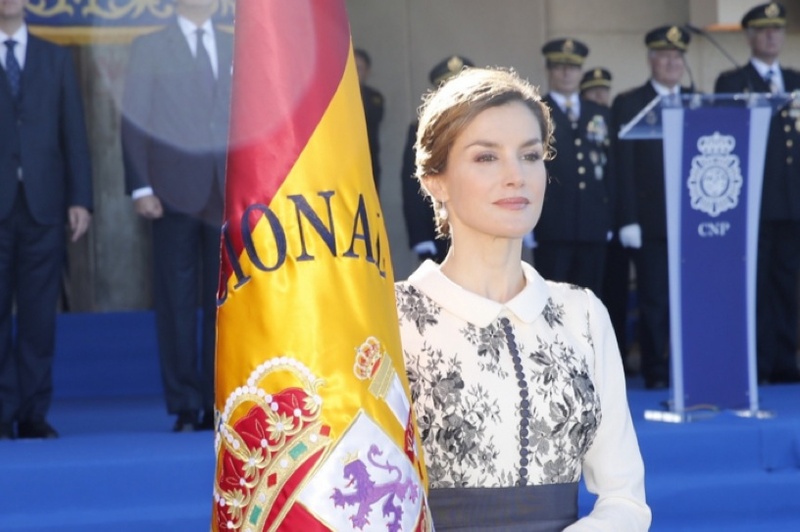 On the morning of Tuesday, November 10, 2015, Her Majesty Queen Letizia of Spain arrived at the headquarters of the Escuela Nacional de Policía (National Police School) in Ávila, Spain, to deliver the Spanish national flag to the Nacional Policía. Previous (VIDEO) His Majesty King Philippe of Belgium Visits the Police Fédérale. Next (VIDEO) TMs King Abdullah II and Queen Rania of Jordan Attend a Memorial Service in Amman.